Clay bank HC, 4th oct. Final reminder for anyone wishing to enter. Hi Wheelers. Its nearly clay bank hill climb time again. Sunday 4th Oct, 10 am. Just so newer members understand, this is the main open event hill climb organised via the cycling time trials org, as opposed to the clay bank miniseries for club members only that followed on from the evening series. 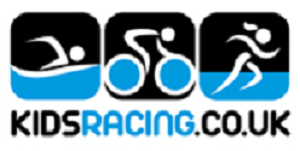 All this means is that anyone can enter as long as they are a member of a ctt affiliated cycling club. Please follow the link below if you would like to enter. The closing date is 22nd Sept. for those of you who are really feeling like punishment then the Stockton wheelers are organising Carlton Bank on the afternoon and we are going to add up the times for those doing both events for a joint winner. Any club member can enter this. Give it a go and don’t feel that you have to be some sort of mountain goat to try. It will be fun to take part. Honest! Refreshments will be on afterwards at the Broughton / Kirby sports hall where we are sharing venues with blue Giraffe cycles who are holding a sportive on the same day. I will be making it one prize per rider this year to better share out the prizes. Also I’m going to introduce junior under 16s prize 1st to 3rd place for both separate boys and girls categories, oh, and increase the age cats to include the over 70s! plus the tandem prize. Should be fun. Please follow the links below if you would like to enter. I have also included the link for the Carlton Bank HC for those that are feeling extra brave! Posted on September 20, 2015, in Uncategorized. Bookmark the permalink. Comments Off on Clay bank HC, 4th oct. Final reminder for anyone wishing to enter..